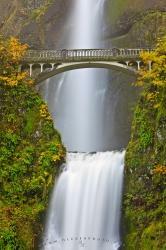 I offer fair prices for this rights managed stock photos with title Multnomah Falls Waterfall Bridge. Please provide us with as much information as possible about your planned use for the image. The more information we have, the better we can ascertain your needs and offer you a fair quote. Sounds complicated, but it`s not! We accept credit card payments via free and secure online payment service paypal. Our Images are available as High Resolution Files (300dpi) and are almost instantly available for download once we receive payment for the image license. You may have the image file available within minutes. Use on cover /back cover / opener / inside? How large is the print run? How large do you want to use the image? Is the image used editorial, advertorial or for advertisement? We do respect your privacy! Your email address will not be used for anything else except to answer your license request - you have my word! Please ensure you have entered your correct email address before pressing the submit button. To refresh the captcha, just click it.